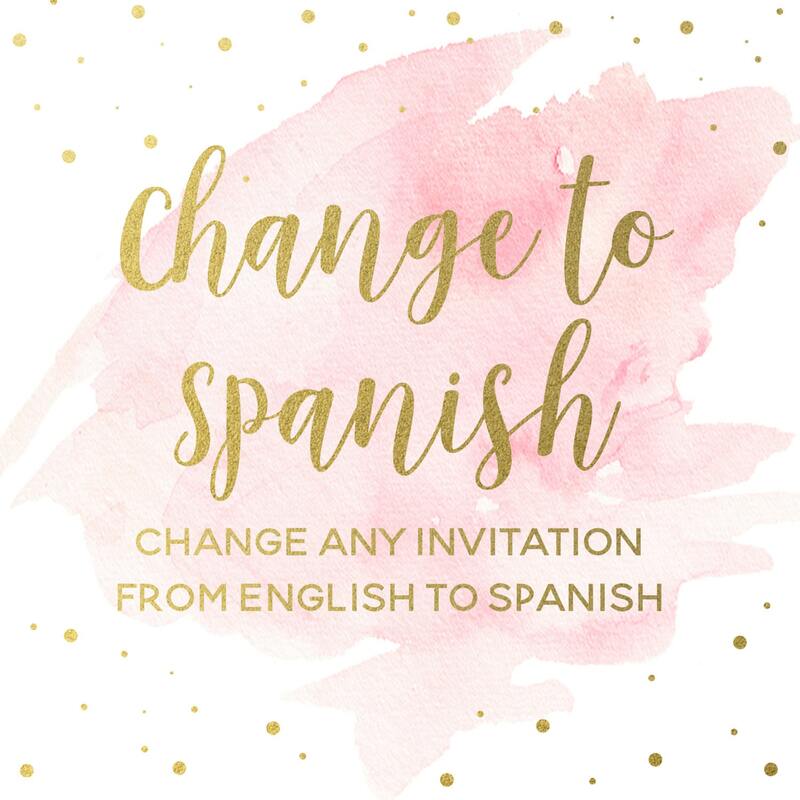 If you'd like your invitation to be in Spanish, this listing is for you! Purchase this listing IN ADDITION TO the original design listing (and any additional games/add-ons that you'd like), and I will change to Spanish for you. Please keep format as close to the original as possible and include the text exactly as you'd like for it to appear (including accents, etc.) in the Notes to Seller Box at checkout. If you need another language, please convo me. Thank you! As a reminder, if you don't see exactly what you're looking for, convo me and I will work with you to turn your vision into reality!